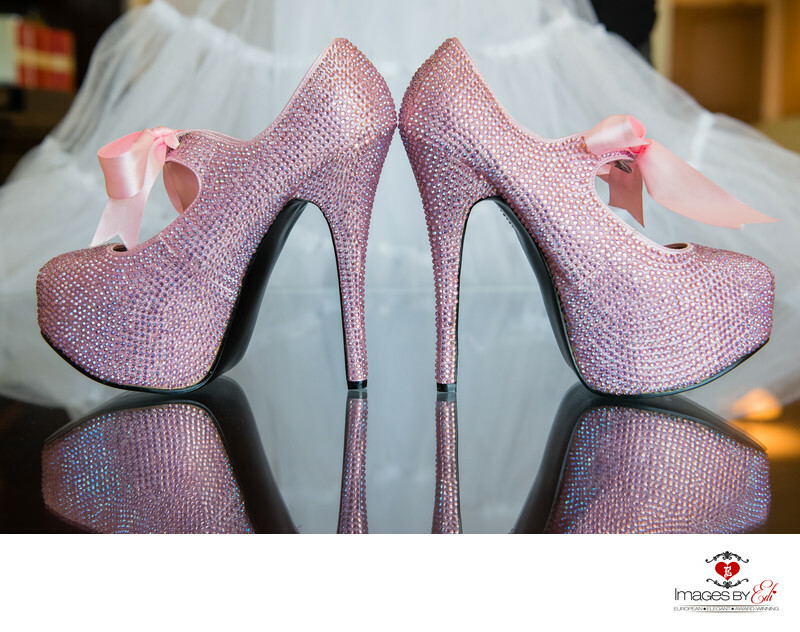 Beautiful pink high heel bridal shoes with rhine stones with the bride's wedding dress in the background. The image was created at the Venetian Resort Las Vegas, where the bride was getting ready with her bridesmaids. Keywords: Hilton Lake Las Vegas Wedding Photographer (33), Hilton Lake Las Vegas Wedding Photography (33), Images by EDI (300), Las Vegas Wedding Photographer (624), Las Vegas Wedding Photography (642), pink wedding shoes (3), Wedding Couple (204), wedding reception (21).